Everyone needed $5092. Everyone was in the hospital. Everyone was wishing that back in chapter 2 everyone had not used the $5092 to pay for her or his child Journey’s chocolate fixation. In fact, everyone wished that she or he had never introduced children to the novel. The novel was about finding the meaning of life, but every time everyone needed to write something in relation to that, the children stormed in. Everyone had contacted the meaning of life via e-mail and via a comment on the meaning of life’s blog, but there had been little progress beyond that, despite the Internet’s help. And now, everyone needed $5092 to pay a hospital bill, or the hospital would not let her or him leave. Everyone needed to contact the Internet, but the hospital would not let everyone do so, unless everyone paid a fee, because the Internet was not a blood relative. Everyone called her or his oldest child Jody. Jody was twelve years old and had known the Internet the longest of everyone’s children. The Internet knew virtually all of humanity, as it did everyone’s offspring, excepting Jan, who was six. Everyone had not let Jan and the Internet meet. The Internet knew some shady people. Jody refused. She or he was working everyone’s second job for her or him and could not, at this moment, contact everyone’s friend. Everyone was in the middle of the eighteenth chapter of her or his novel. Everyone could not wait. There were readers to satisfy. Jody didn’t seem motivated to change her or his current state. One hundred dollars was involved, and being down $5092 and in the hospital, everyone could not pay the hundred dollars to make up for Jody’s lost time. Everyone was scared the reader would stop here, and this would be the end of the novel, which was not how the Internet and everyone had planned it. Everyone was supposed to find the meaning of life. If the novel ended in the hospital, its beginning would not work. The Internet had warned everyone about this, that everyone might get to chapter 18 and discover that the events in chapter 2 were all wrong and that everyone might want to change them. Everyone had not listened. 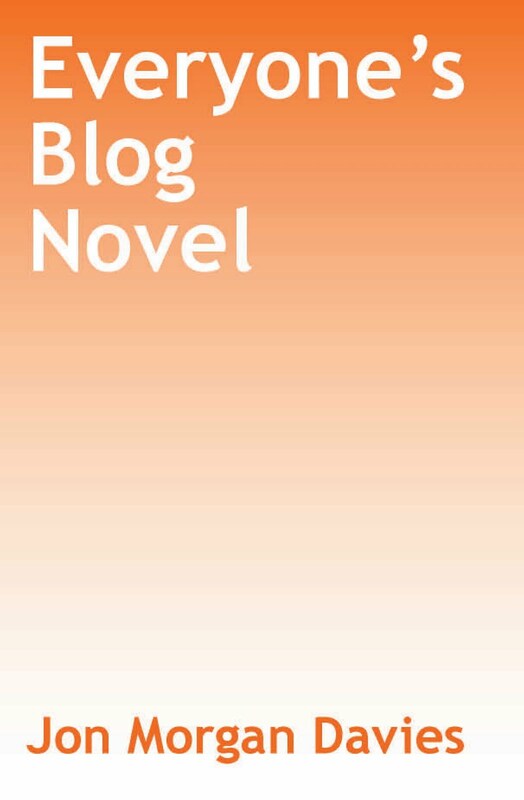 The Internet had dithered about posting chapter 2 to everyone’s blog but in the end had acceded to everyone’s command. Everyone wished the Internet had failed to follow directions. Everyone cursed. Everyone did not know the janitor was in the room. The janitor did not like cursing. The janitor watched religious movies with the Internet. The janitor was an ex-coworker of everyone’s named Harvey. The reason everyone did not see Harvey was that Harvey was inside the vacuum cleaner. The vacuum cleaner was in the corner of the room, next to the visitors’ chair that was perennially empty. It was perennially empty because everyone did not have a car because everyone’s $5092 had been spent paying for everyone’s child Journey’s chocolate fixation and everyone’s children could not drive. “Get me out of here,” Harvey yelled. Harvey was an unwitting visitor. The vacuum cleaner had traveled a long way to be here, and so had Harvey, but they had not traveled here for cursing. Everyone thought her or his head was in the novel and that everyone had imagined Harvey’s voice. “Harvey, is that you?” everyone asked, to be sure the voice wasn’t real. To everyone’s surprise, Harvey acceded. “Where are you?” everyone asked. Everyone could not see Harvey. The room was very dark. Everyone looked under the table beside the bed, under the television, next to the curtains, on top of the chair for the visitors, but no matter how long everyone looked, everyone could not see Harvey, and the room was getting darker. Everyone was going blind. It was a dreadful end to the novel.